Find a vacation home to rent in Tarquinia from our list of vacation rental properties. Campaya has over 6 vacation homes available in Tarquinia, which give you the possibility to locate a unique accommodation in Tarquinia which completes your check-list in search for the perfect self catering vacation apartments in Tarquinia or vacation villas in Tarquinia. This spacious and comfortable semi-detached house is surrounded by the green countryside of Tarquinia, just 4 km from the beach. In the seaside town of Marina Velca, just 5 km from the ancient city Tarquinia, is this nice semi-detached house. It is set in a residential area with controlled access and private guard. Holiday home dating back to the Thirties, situated in the countryside between Tarquinia (famous for its Etruscan necropolis) and the Tyrrhenian Sea. Beautiful independent holiday house in the sweet hills around Tarquinia, famous for its Etruscan tombs and its sea with equipped beaches. It is located in the heart of a 9 hole golf course. 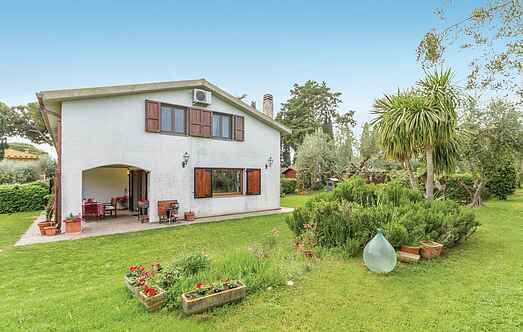 Large semi-detached house with private garden just 50 meters from Lido di Tarquinia beach. 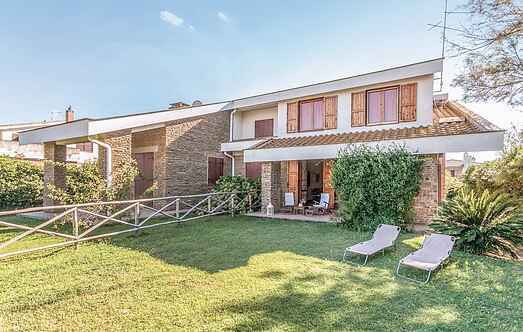 This detached holiday home is located only 2,3 km from the beach of Tarquinia - an interesting Etruscan area on the coast to the north of Lazio, on the border with Tuscany.